“I see myself as the person that sets the tone for where we’re going,” Toner told GovLoop. He elaborated further in an interview about his background, priorities and initiatives. GOVLOOP: So tell us a bit about your background and what you tackled before you stepped into the CIO role. TONER: For the majority of my life, that’s over 20 years in IT, I’ve only spent four years of that in the public sector. Prior to this, I was with First Data, which is a credit card transaction processing company, the largest one in the nation. I’ve worked at TD Ameritrade, which is pretty well known for security transaction processing. Before that, I worked at Blockbuster’s corporate offices. So I’ve had kind of a different background, and I probably look at things much more from a private sector view than public sector view. GOVLOOP: What was the transition like from the private to the public sector? Second, how exactly would you define a public sector view and a private sector view? TONER: The public sector clearly has talent and tools, but they definitely lag behind the private sector in the utilization of the tools they have and their outreach to customers. From my experience in the private sector, our goal was to ensure that everything we did enhanced the customer’s experience. That was a mindset change that we’ve actually moved forward to in the public sector —the question of whether an action is going to make it easier to do business with us. The model here, the other big difference, was the disparate silos of IT and the lack of standardization across those silos. Those silos are obviously the agencies. Each agency was doing their own thing. They didn’t communicate with each other, they didn’t have a common vision, they didn’t have a common mission, they didn’t have even common infrastructure. It was disparate all the way across the state. It was like having 80 companies under an umbrella that never merged together. They were doing their own thing separately, and even worse, they weren’t communicating what they were doing. In the private sector, that was one of the things that we knew. When we merged or we purchased another company, we knew that we could not allow them to operate independently, that we had to bring them into the fold. We had to bring them into our data center, we had to bring them on to our platforms. We had to consolidate the customers onto our frontend. And we knew that anything short of that was inefficient. 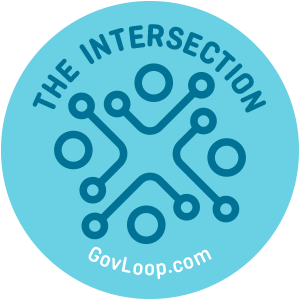 GOVLOOP: Has anything been done on a statewide level to address that sort of separation within the government? TONER: Yeah. We have totally consolidated the state of Nebraska in 18 months. There are only two data centers run by our office. All servers, all network, all of that is maintained by our office, the Office of the CIO. There isn’t any infrastructure, there are no network engineers, there’s not any server admin, there are not even any desktop support folks that aren’t part of our organization. We maintain all that out of our two data centers, which are active hot standby, which is very unique for at least the state. 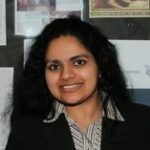 It’s not unique for private industry, it’s very unique for the state. We went through a consolidation effort of six months. The first six months, we consolidated the network resources, so they all work for the Office of the CIO. We’ve led them in, they removed all the firewalls, domain controllers, all that equipment that was redundant across the state that kept those silos so that whatever we do now, we can look across the entire state network because we’ve eliminated all of those things that separated our network. We’re on a single network. The next six months, we brought in all the resources that manage servers. We moved all those servers out of data closets across the state. We reduced the number of servers across the state dramatically, by about 20 percent. They all are now located within our data center. In the third six months, we took everyone who did desktop support, and we brought them into our organization. And we reduced headcount by more than 20 percent there. GOVLOOP: How many different parts of the agency did you have to consolidate? TONER: No one even knows how many agencies we have. I do know that there are a lot of agencies out there, and so we have what’s called code agencies or cabinet agencies, of which 100 percent are in our data center. Then we have non-code agencies. We can’t even count how many there are. Some of those non-code agencies have maybe three people. All of them had dependencies on IT, that’s the reason why we consolidated. In other words, let’s just say there are three people in an agency. The old way was to have a server, and it was sitting in a closet somewhere. They would use their own desktop support, they didn’t follow any state standard guidelines and they were all kind of just on their own. We brought the server into our environment, and then we offered them desktop support services. We also found, in many cases, that the server that these smaller agencies had were two to three times their life expectancy. We’ve gone in there and taken care of refreshing, and right now what we do is everyone who leases the servers from us, we just have a standard monthly rate, and we patch and maintain those servers, and replace them when they need to be replaced. The agency doesn’t have to even think about it. Essentially, we act very much like a cloud. We take care of everything. Your application is going to reside on our infrastructure, and when the application needs to be updated we’ll do the updates. When your infrastructure needs to be replaced, we’ll replace it. When we need to apply patches, we apply those patches. So, essentially, what we’ve done is we’ve become the cloud for all of the agencies across the state. When I say agencies, there are 93 counties in Nebraska, and 74 of those counties rely on us for all of those services. They don’t maintain any other IT staff. We also have offices that are typically not managed by a central organization, like some of the offices of elected officials (not elected as in the legislature but like the treasurer, the auditor, secretary of state). We have their equipment in our data center. We take care of that for them. We also maintain in our data center, the city of Lincoln, which is where our capital is. We have really turned into a cloud provider of different levels. Either we provide the infrastructure, or we provide a location for their equipment. In the case of Lincoln, the city of Lincoln maintains their equipment, but we provide more of an Infrastructure-as-a-Service (IaaS) for them, whereas for the rest of the agencies, we provide more of a Software-as-a-Service (SaaS). Additionally, about 85 percent of our servers are all virtual. We’d like to get above 90, 95 percent virtual. We’ve eliminated hundreds of servers by going from the agency where they had physicals, and we’ve moved them to virtuals. I think that’s the biggest problem we have. So we are a consolidated state. The only thing that’s not consolidated in the state of Nebraska is agency-specific applications that serve only app dev folks. And I would say that’s a very small percentage, probably less than 20 percent of the app dev population that is not within the Office of the CIO staff. GOVLOOP: What are your top two to three priorities as state CIO? 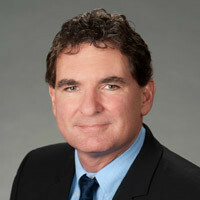 TONER: Right now application portfolio management is a number one priority. That includes taking an inventory of everything that we own, now that everything is centralized, and taking inventory of all of our applications across the state, putting them into Gartner’s TIME model. There’s the Tolerate box of applications that are supported well, and we’ll tolerate them. They are serving a small contingent of folks. We have the Invest square, which includes critical applications. We make sure that those are accurate, running at two data centers at all times, and so they’re public-facing; they’re things that are critical to the state. Then we have the Migrate, and those are applications that we feel are not sufficiently architected for their purpose. And then we have the Eliminate box. Those are applications that are duplicated, or they’re not being used anymore, and we need to eliminate. So that’s the TIME model- Tolerate, Invest, Migrate and Eliminate. That’s the big project for us right now. The other aspect that’s bringing a lot of benefit into the state is our focus on our intern program. We have more than 40 current employees that were previously interns. So almost 10 percent of our workforce is from that program. That’s been very successful. I believe of the 40 that we’ve had over the last two years, we’ve had two resign. So the program has resulted in an incredibly low attrition rate. Our people focus is to bring in young talent. We’ve been bringing in young folks to the state of Nebraska that have done a great job of filling the open positions that we’re getting from the retirement process. Our third priority is with open data portals. The state of Nebraska is doing it differently. We’re not just putting CSV or Excel spreadsheets. We’re actually having that project run by our GIS [geographic information system] department, which is also consolidated within our group. All data is maintained for the entire state within our office. We’re graphically displaying our data and giving the actual raw data in either an Excel or CSV or a PDF. But you get a preview of the data in a geographic format before you download it, and you can determine whether or not that data is really going to be of interest or of use to you. And I think the real difference that we’re doing is we’re doing it through our GIS group and not through the other group.